When Trap's owners moved they left him behind. 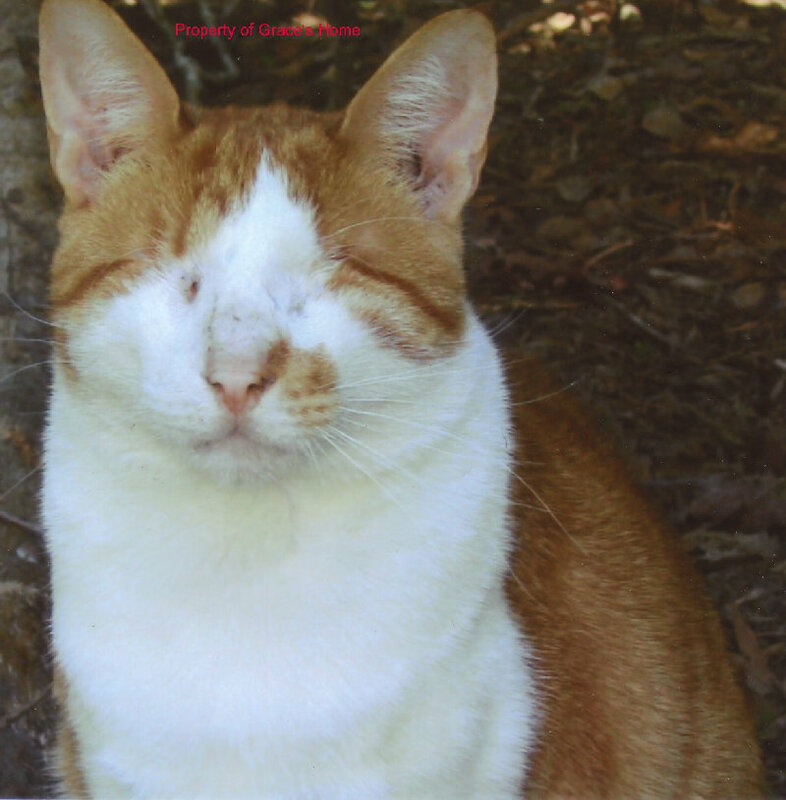 He did his best to find food, but when someone decided to abuse him they left him without his sight and finding food became almost impossible. It was reported that someone shot Trap's eyes out with a bb gun. While Trap-a-cat was working their trap and release program they were notified about a cat that was abandoned and blind. Trap-a-cat captured Trap and took him to the vet. His eyes were infected and he could not see. To relieve his pain, his eyes were removed. Grace's Home was contacted and we welcomed Trap to be our new resident in Grace's Home. 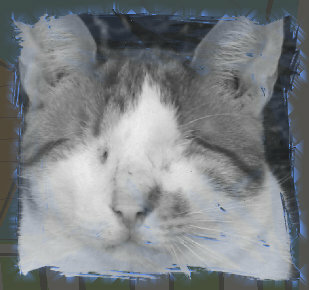 After months of therapy Trap has adapted to having no sight. Thank you for helping in Trap's rescue. If it had not been for your Monetary donations Trap would have definitely died. "Cruelty is one fashion statement we can all do without."